Browsing free tattoo catalogs makes sense for gathering inspiration, regardless if it's for your first tattoo piece, or one of many. The following catalogs will give you plenty of design options, and they may just inspire you to come up with something unique. You can shop for your next tattoo design online by browsing several free tattoo catalogs. Chopper Tattoo is a highly regarded online resource for tattoo art and they specialize in award winning tattoo designs. If you have been searching high and low for the perfect design and just haven't had any luck then Chopper Tattoo could be the place to find one. The downside is that all your perks come from a subscription to the site for a nominal fee. Despite the subscription fee, Chopper Tattoo is one of the most used and most recognized tattoo catalogs on the Internet. You get a lot for so little, and the majority of the actual cost is for the magazine subscription and download bandwidth. Much more than just a tattoo catalog site; [htt://www.tattoomenow.com Tattoo Me Now] offers several features that makes using them worth it. Your dream tattoo may be resting within these digital walls. 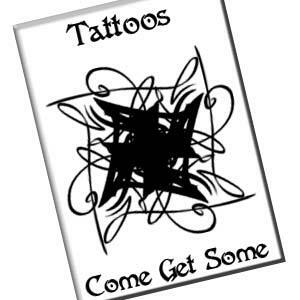 Tattoo Me Now is a one stop shop for all your tattoo art design needs and then some. This is the site where you can go wild over tattoos as they offer many unique designs that aren't found on other sites. You can browse the work before signing up for a nominal fee. Tattoo My Brain offers a gigantic collection of amazing tattoo art. They offer a 100% money back guarantee for two months as well as free e-books. Many tattoo parlors frequent Tattoo Johnny for full sheets of flash but individuals can search them for free to find that right design that they can print for a fee. Tattoo Johnny is mainly just flash work but it has thousands to choose from. Don't rush to get the first tattoo design that appeals to you because you might regret acting on impulse. Think about the general style of tattoo that you like, and then try searching for ideas in that genre. Even if you think you've found the perfect tat, think about ways to make the design your own. Tattoos are like snowflakes; no two designs should be exactly alike.